A powerful and visually stunning anthology from some of the most groundbreaking Native artists working in North America today. Truly universal in its themes, Dreaming In Indian will shatter commonly held stereotypes and challenge readers to rethink their own place in the world. 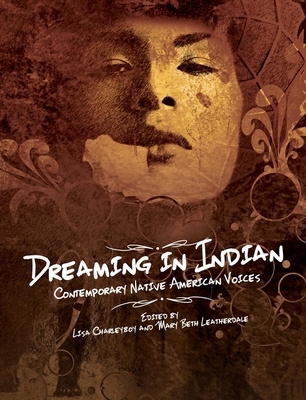 Divided into four sections, 'Roots, ' 'Battles, ' 'Medicines, ' and 'Dreamcatchers, ' this book offers readers a unique insight into a community often misunderstood and misrepresented by the mainstream media. Lisa Charleyboy (Tsilhqot'in) is a writer and social entrepreneur. She's Editor-In-Chief of "Urban Native Magazine," which focuses on pop culture with an Indigenous twist. Mary Beth Leatherdale writes, edits, and consults on books, magazines, and digital resources for children and youth.